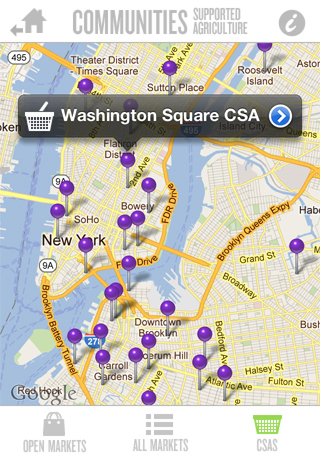 This mobile application informs the good people of New York on the various Green Markets and CSAs (Community Supported Agriculture) around the city. 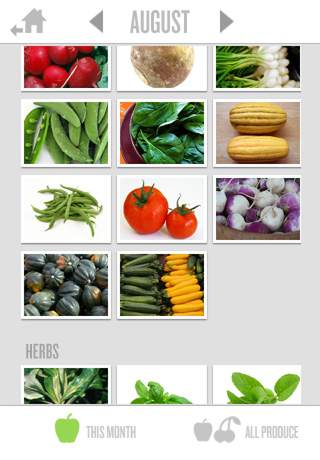 It provides a list of all the locally grown produce and their availability. Simple recipes are offered to encourage healthy home cooking. 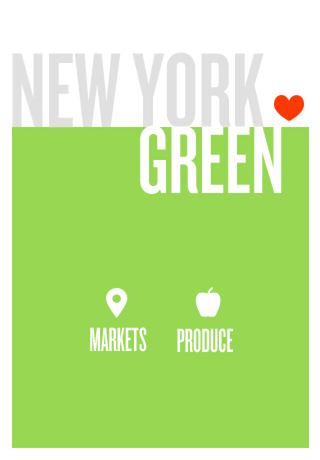 Get to know the produce grown in the New York area. 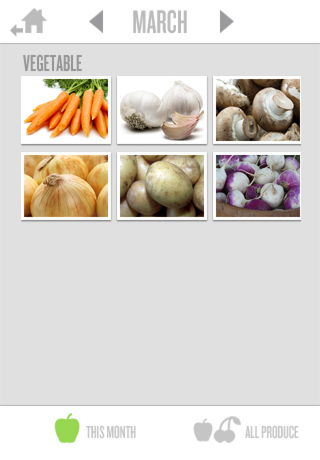 The produce available for the current month are displayed. 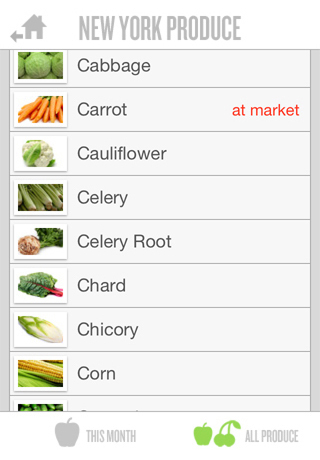 Click on the arrows at the top menu to view produce to come in other months. In August, some beautiful vegetables, herbs and fruit. 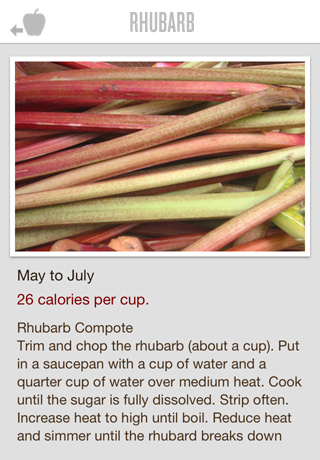 Seasonal recipes are provided to inspire you to cook using various produce. 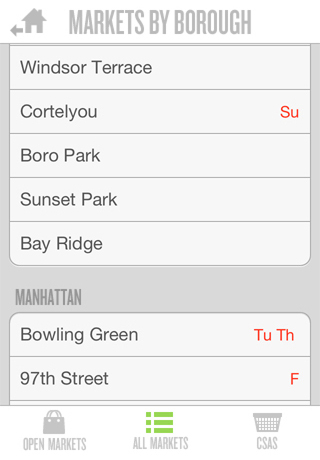 The list of green markets in all five boroughs. You may be inspired to visit one you don't know yet. 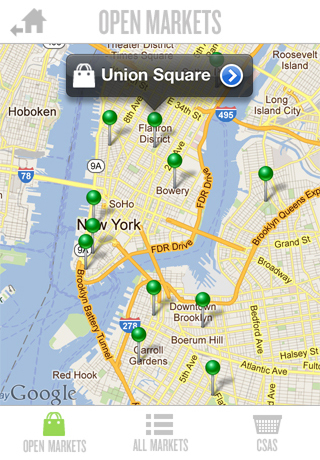 A map view displays the markets currently open. 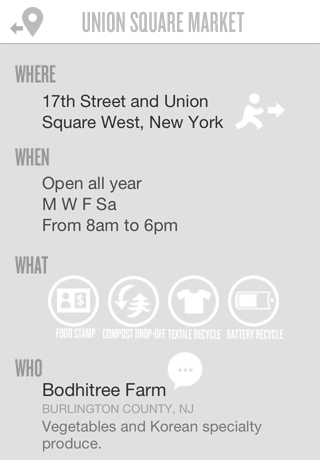 Specific market information, address and directions (launched in Google Maps), days and times, recycling programs and list of farmers. Visit farmers' website for additional information. The map also displays the Community Supported Agriculture, independent organizations to support farmers throughout the year. 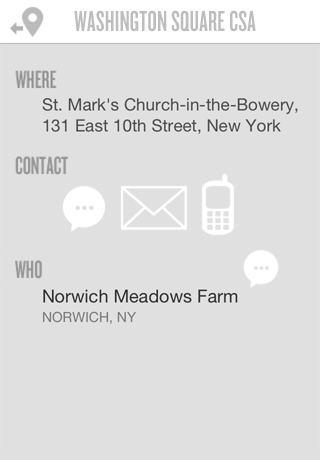 Specific CSA information, address, website (launched in mobile browser), telephone and email (launched in native applications) and farm information and website.